* Pen is not included. It only for illustrate purposes. 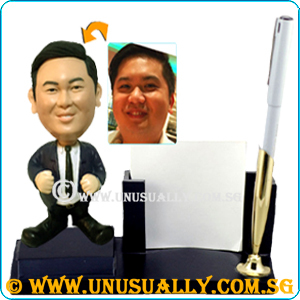 * If wordings needed to be added, it will be added as customized sticker format style and printed onto the base surface. * Option to replace the figurine with other standard design standing figurine. If this service needed, pls indicate it in the remark column during the check-out process.